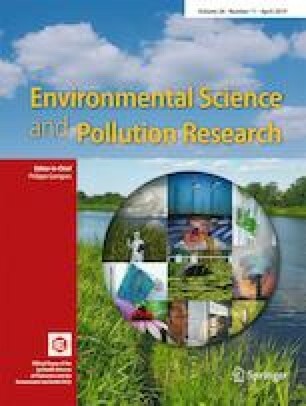 In attempts to evaluate the environmental risk produced by plastic markets, the levels and congener profiles of phthalate esters (PAEs) in soil, vegetable, and sediment samples collected from the plastic market in China, where numerous plastic products are exchanged every year, were investigated. The concentrations of ∑22PAEs ranged from 2131 to 27,805 ng g−1 in agricultural soils, from 8023 to 37,556 ng g−1 in vegetables and from 9031 to 87,329 ng g−1 in sediments. The predominant PAE pollutants were di-(2-ethylhexyl) phthalate (DEHP), di-n-butyl phthalate (DnBP), di-isobutyl phthalate (DiBP), and dibenzyl phthalate (DBzP). The mean percentages of the predominant PAEs in the soil, vegetable, and sediment samples accounted for 98.4%, 97.3%, and 99.5% of the total PAEs, respectively. The concentrations of PAEs at the sites around the plastic market were significantly higher than those at other pollution sites, such as sites contaminated by agricultural plastic film, electronic waste (e-waste) recycling sites, and industrial parks, indicating that the plastic market was an important pollution source. The DEHP concentrations in the soils, vegetables, and sediments and the DnBP concentrations in the vegetables all exceeded the environmental risk levels (ERL) or the environmental allowable levels (EAL), indicating that the plastic market posed potential environmental risks. The online version of this article ( https://doi.org/10.1007/s11356-019-04571-x) contains supplementary material, which is available to authorized users. This study was supported by the Natural Science Foundation of Zhejiang Province (LY17B070006), the National Natural Science Foundation of China (21577127), and the State Key Laboratory of Urban Water Resource and Environment, Harbin Institute of Technology (No. QAK201715).